In 2019 and beyond, the need for creating a sustainable built environment is of paramount importance considering the current rate of environmental deterioration. It’s been long that the importance of renewable and sustainable energy forms is being emphasized and we are way past time to start planning reforms. Earth is suffering from global warming, glaciers are melting at an increased rate, and we have to implement sustainable forms of energy consumption as soon as possible. Green Buildings are considered one of the milestones in the discussion of creating a sustainable built environment. 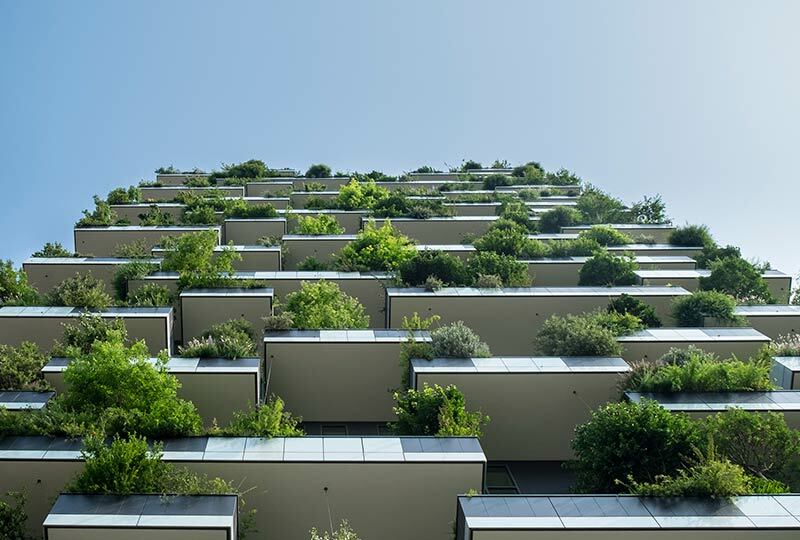 A green building eliminates or reduces the potential damages to the environment in every way, right from its design, energy consumption, operational costs, by-products, waste disposal, etc. If you look at it, the prevalent forms of building are not very eco-friendly and cause harmful emissions. Right from the kind of light bulbs we use to our means of waste disposal, we harm our environment in many ways. Besides, our way of energy consumption is not that sustainable either! A green building offers an efficient and eco-friendly solution in creating a sustainable built environment. From the usage of renewable and natural forms of energy such as solar energy and efficient usage of water, electricity and other energy forms to confirming good environmental quality and considering the environment in construction and future operation, green buildings provide a common and eco-friendly living environment. You can transform your current living environment into a green building. Top rated providers have green building certification and green globe certification and can help you transform a standard building into green building. One of the primary purposes of green buildings is: it’s eco-friendly. As mentioned earlier, a green building uses renewable forms of energy and it is constructed in a way to ensure efficient energy utilization. Besides, unlike normal buildings, a green building doesn’t emit harmful by-products in the environment. Green Buildings offer a very economical solution. They are less costly, in terms of bills such as water bill, electricity bill, etc. Besides, the maintenance or operational costs on green building are also quite low. Green Building promotes a healthy living environment, right from air quality and thermal status to lightning and others! There are no chemical emissions related to any of green building operations or functioning. 01There are many such advantages of green building. The coming era is going to be dominated by sustainable built environments like green environment. It’s not late even if you have bought a normal standard house. You can convert your current living environment into a green building by contacting reputed providers with green building certification and green globe certification like The Green Building Initiative.